DALLAS – Southwest Airlines is revamping its frequent-flier program with changes designed to nudge customers into buying higher-priced tickets by letting them earn bonus flights faster. Southwest says passengers will be able to redeem points for any flight without blackout dates. Southwest credit card holders will be able to redeem points for international flights on other airlines. CEO Gary Kelly says the overhaul will bring in “several hundred” millions of dollars in extra annual revenue within three or four years. 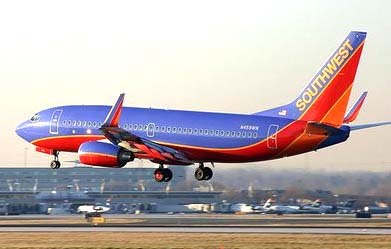 Southwest planned to announce the changes Thursday and launch the new program March 1. Since its start in 1987, Southwest Airlines Co.’s Rapid Rewards has been perhaps the simplest loyalty program in the airline industry. In most cases, customers earned one credit for every flight — two for a round trip — and got a free flight with 16 credits. Miles and fares didn’t matter. But customers complained that they weren’t rewarded for longer trips, couldn’t earn international flights, and credits expired in two years no matter what. Now, to match other airlines, Southwest will extend the credits if there is some activity on the account. The changes will make Southwest’s loyalty program more complicated, but also more geared to its best customers — business travelers who pay high fares. Customers will earn six, 10 or 12 points for every dollar they spend depending on whether they pick the cheapest, middle or highest fare. For example, Southwest listed a $94 bottom price for a Feb. 1 flight from Dallas to Baltimore. That would earn 564 points (6 times 94). The middle-level fare was $405, which would yield 4,050 points (10 times 405), and the top fare of $425 would be rewarded with 5,100 points. When cashing in, customers will spend 60, 100 or 120 points per dollar depending on the fare level. It would take 5,640 points to buy that “Wanna Get Away” fare on Feb. 1 (60 times 94) but 51,000 points for a “Business Select” trip, which includes amenities including priority boarding and a free drink. On many large U.S. airlines, customers get one point per mile and typically pay 25,000 miles or more for a reward round trip. Southwest borrowed the approach used by JetBlue Airways and Virgin America, which base points on how much customers spend on tickets. Southwest doesn’t fly outside the U.S. but plans to let customers redeem points for international flights under a deal with loyalty marketer Maritz. Southwest had few details this week. Kelly said Dallas-based Southwest, which carries more U.S. passengers than any carrier, spent five years and nearly $100 million to design the new program. Tim Winship, an airline-industry veteran who edits FrequentFlier.com, said Southwest’s changes were long overdue. “Their program has been a laggard for years,” Winship said. “This is head-and-shoulders above the old program, and my guess is it’s going to stack up pretty well against programs of legacy carriers” such as American, Delta and United. But Winship cautioned that Southwest is still viewed dimly by many business travelers because it doesn’t have first-class cabins or airport lounges. Southwest officials acknowledged that the changes will make their loyalty program more complicated. That’s a noteworthy admission for an airline long driven to keep things simple, right down to operating with only one kind of jet.